Do you know your rights as a journalist? Are you aware that you have moral rights in your work? 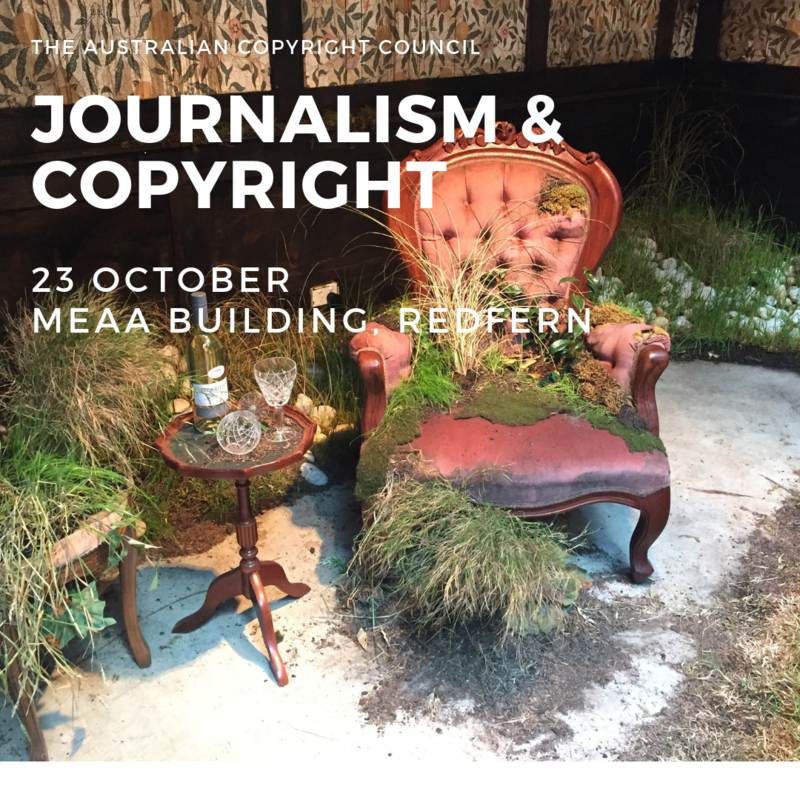 Learn more at an Australian Copyright Council seminar hosted by MEAA on October 23. Discounts of 15% available for MEAA members by using the code: AFFSPECIAL.